I’ve been very impressed by the author’s blog on Marion’s history and haunts and his fascination with the quirks of Marion’s history comes through in this book. 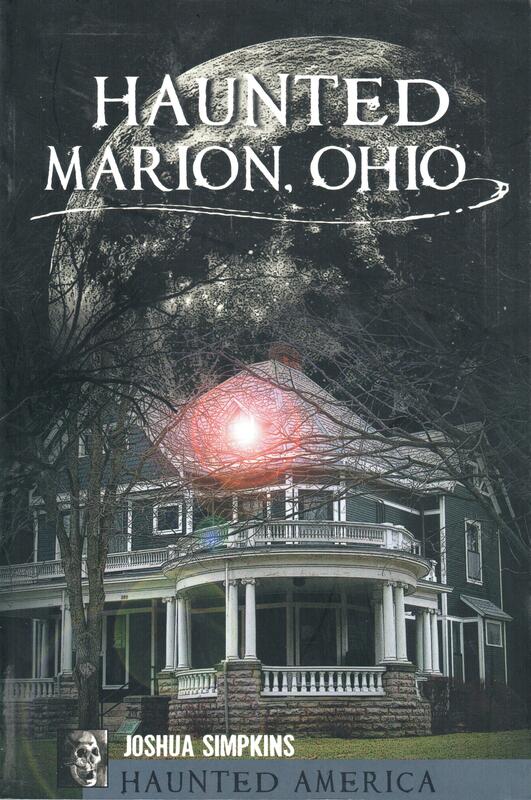 Rich in history and steeped in blue-collar values, Marion, Ohio, is much like any midwestern city, aside from its abundance of ghouls and unexplained phenomena. From well-known landmarks like the mysterious Merchant Ball to largely forgotten locales like the Quarry Street Cemetery, Josh Simpkins of Spookymarion.com takes readers on a delightful journey through Marion’s bizarre history and hauntings. Was President Harding’s death forecast by the First Lady’s squawking finch—its feathered form now stuffed and displayed in the Harding Home—on the eve of the president’s ill-fated trip to Alaska? Dare to visit the Mongoloid House or see what goes bump at the empty downtown YMCA. 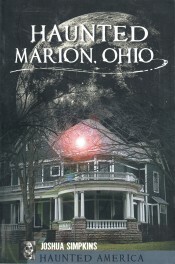 A combination of factual stories and urban legends, the books sites and stories include: Shoe String Jack andthe old city hall, Marion’s oldest cemetery, the Harding home, The Harding Hotel, The Palace Theatre, The Marion Country Club, Hinamon Woods, the downtown YMCA, and Headless Haddie.